LOWER KINNICKINNIC TRIP IN RIVER FALLS, WI: 355 West Park Street, River Falls, WI. Follow Park Street to the end and park near the pickleball court/baseball diamond. We set up on the west side of the pickleball court and we have blue kayaks. Active/outdoor wear or swimwear appropriate for the day’s weather. Do not wear flip flops or go barefoot. Strap-on sandals or shoes are highly recommended. Avoid expensive sunglasses and use a strap if needed. Bring sunscreen! Water/Gatorade, snacks, lunch (a simple sandwich), six-pack sized coolers, favorite beverages, etc. Make it a great trip any way you can, though space on the kayak is limited. No wallet will be needed on the river. Lock it in your car. Towels will be supplied at the end of the trip. What type of kayak will I be using? All kayaks are single-person Old Town Vapor 10′ kayaks. There is a 245 lb. weight limit and dry well storage in the back. Is this adventure for me? Most guests are beginner kayakers. However, you need to be an active person and average swimmer. The average water depth is 10” – 12” and the maximum water depth is 6’. Be aware, you are in the wild. There will be sticks, spiders, etc. and you may need to get out of the kayak (and into the water) at some point. The hardest part of the journey is typically this walk down to the river where you will be helping carry kayaks down a number of steps. Will I need to know how to paddle? Riverside paddling tutorial and overall instruction will be presented to all guests. Are there any restrooms on the trip? KINNICKINNIC TRIP IN RIVER FALLS, WI: The last chance for a bathroom (with a seat) is at Glen Park: Visit the brown building in the park behind the tennis court and baseball diamond. NIPPERSINK CREEK TRIP IN RICHMOND, IL: There are public restrooms at both the Keystone and Pioneer Road landings. You should arrive at least 10 minutes prior to launch time. 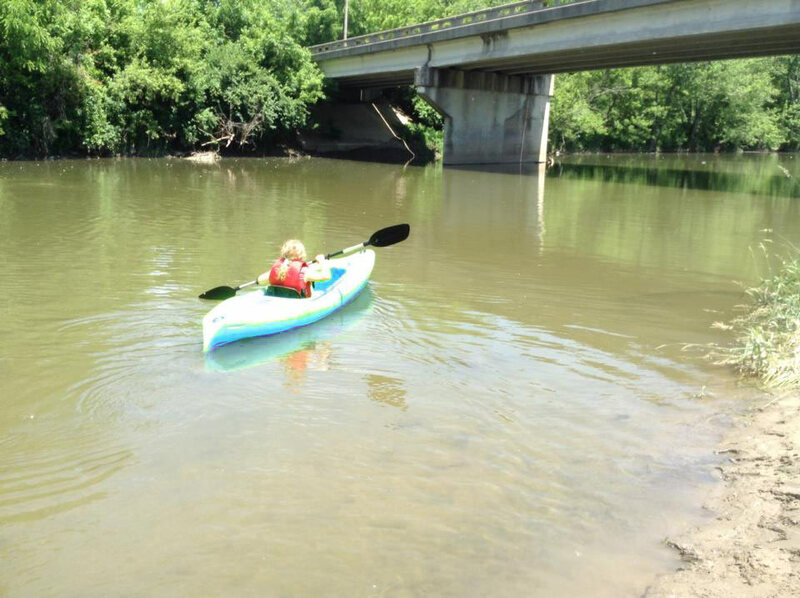 Explore the beautiful Kinnickinnic River via kayak—just a short drive from Minneapolis and St. Paul. 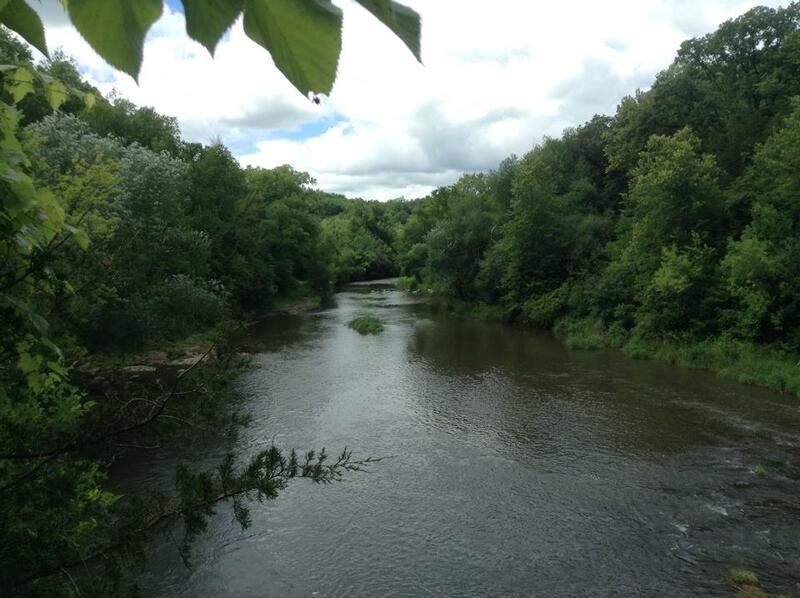 Or explore the Nippersink Creek—outside Chicago, Milwaukee, Racine, and Kenosha. © 2019 River Guide Kayaks.